Compatible with BOSE Quiet Comfort 15 QC2 QC15 Headphones. 1 Pair x of Ear Pads. 2PCS Face Facial Hair Spring Remover Stick Epilator Threading Beauty Tool ED. 6 Ft Silk English Ivy Garland Wedding Artificial(garland) ED. Allows high frequency details and energy. Perfect seal for best bass. Try Symbio W by MandarinEs ! Symbio will help to you in this. The foam has real gentle force to push the silicone to the wall of your ear. Symbio will help to you in this. The foam has real gentle force to push the silicone to the wall of your ear. In this way eartip will pick up the shape of your ear canal. otherwise I'll send S, M, L size (one piar each). Can t urn your wired Bose Headphones QC15 in to Wireless Bluetooth with this receiver. 1 Bluetooth Receiver Adapter Cable For QC15. 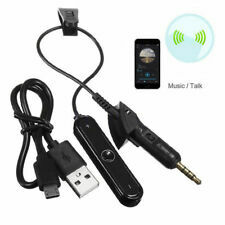 Wireless Bluetooth 4.0 Stereo HeadSet Handsfree Earphone For iPhone Samsung LG. Material: Made of soft silicone. Durable and soft, high elasticity. Color: Clear. Symbio W Peel – Simple Single Flange Silicone Eartip. Box contains three pairs. otherwise I'll send S, M, L size (one piar each). Any Problem You May Have. Choose the tip size by your request. Compatible for Plantronics Blackwire C320 USB C 320 Headphones. Communication is important. Works with Shure SE215, SE315, SE425, SE535 Earphones. 1 Earphones Cable. Dual-exit, detachable. OEM Genuine AM115 White Earphones Headset Handsfree for Huawei Honor P8 P9. Length (Approx.). : 5 ft (1.6 m). Note: Due to the light and screen difference, the item's color may be slightly different from the pictures. Color: Black. NEW!!! 1x Genuine Replacement Li-ion Battery For Beats X (A1773) 3.8v 50 mAh ---Replacement for the Following Battery Model/Part Numbers: YU10448-16002 ---Compatible with the Following Wireless In-Ear Headphones Models: Beats X (A1773) ---3.8V 50mAh .19Wh Lithium-ion Battery. Compatibles for KINGSTON HSCD KHX-HSCP Hyperx Cloud II Headphones. 1 Pair of Ear Pads (L R). People always bought together with. - Good vioce For Sennheser headphones. - Size: 110x90x50mm. Headphones sponge sets, in general, I recommend replace earpad every three to six months. Lot of people are not used deliberately to clean earpad, however product will contact with the secretions of face, secretions paste in headphone earmuffs, a long time it will breed a lot of bacteria, is likely to cause skin allergies, cross-infection and other diseases seriously affect health. Features: 100% brand new. Soft, durable and high elastic. The ear foam will enhance the bass performance of your headphone. . Applies to Sony XBA、MDR Series ear headphones. XBA Series MDR Series Silicone material, soft and good. 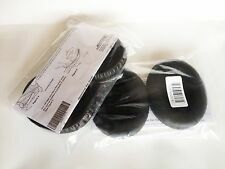 DR Series 4 pairs of Ear Pads(1 Set). ● Designed to enhance the fidelity of your audio by cushioning the vibrations between your ear and the headset, providing more vibrant sounds. Compatible with: For Triport TP-1 TP1 AE 1 Headphones. Detail Image. Color: black, blue, red, grey. Compatible for Urbanears Plattan Over-Ear Headphones. Good for replacing your worn-out or lost ear pads. Color: Gray. Communication is important. Suitable for: Sennheiser Hd202, Hd212, Hd212pro,Hd497, Eh150 Headphones. 1, This ear cushion is made of soft foam and artificial leather, which makes your wearing cozy and more comfortable. 2, Designed to enhance the fidelity of your audio by cushioning the vibrations between your ear and the headset, providing more vibrant sounds. The item is the plastic front case for ipod 5th gen video 30gb 60gb 80gb. Compatible for Razer Kraken / for Sennheiser HD205 HD225 for AKG K121 K121S K141 K142 MK II HD Headphones. 1 Pair of Ear Pads. Color: Black. World's First! Free global shipping! Razer ManO'War 7.1 Surround Sound Gaming Headset. 1 x Headband. The color may have different as the difference display,pls understand. We will do our best to help you to resolve your problems. Material: leatherette & soft foam & plastic. Material:Made of soft silicone. Durable and soft, high elasticity. Color :Clear. Compatible for Razer Kraken Pro Gaming Headphones. Note: Due to light and screen difference, the item's color may be slightly different from the pictures. USA, Canada, United Kingdom, Austrilia, France, Germany, Spain, Ireland, Italy, Others. Compatible with: For Apple iPod classic 6th & 7th Gen 80gb 120gb 160gb. 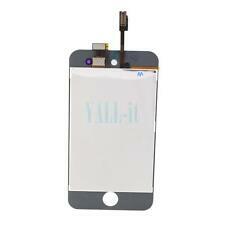 It’s LCD only, not include Touch Screen. 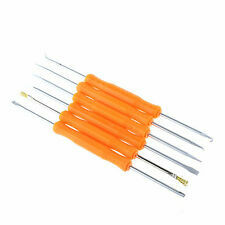 1x Repair Tools like the picture. I hope you can understand and let’s keep communication. Fit for BOSE Around-Ear AE2 AE2i AE2w Headphones. Light shooting and different displays may cause the color of the item in the picture a little different from the real thing. This in-ear earbuds is made of soft silicone which is very durable and high easticity. 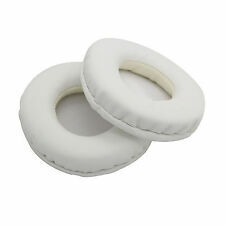 We provide 10 pairs Large size ear pads for you. 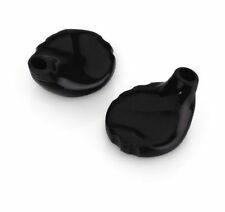 It is really good for replacing your worn-out or lost ear pad. Application: For Bose QC25 Headphones. Due to light and screen difference, the item's color may be slightly different from the pictures. Perfect for the original model. That's our motto. And let's face it, everyone loves to find a bargain. Suitable for : for Jabra Style Wireless Bluetooth Headphone. Quantity: 1 set of 2pcs earhooks ( 1pc large and 1pc small ). Useful product if you have problems keeping you in-ear buds in your ear or for sport applications like jogging. 2Pairs Headphone Covers. - Made of the Stretchable Fabric. can be washed - Superb design, and the BEST Construction. - Fits for most over the ear headphones with 9~11 CM ear pads. This is a high quality speaker unit that can be paired with the original MDR7506. This speaker unit is a tri-band uniform with a very high resolution. The high frequency is more prominent, high and not broken, the background sound can clearly distinguish which is the clapping sound, which is the hitting sound, etc.